We offer the best customer service and on-time guarantee in the industry, but we still understand that costs are important to you. Call us for a quote for rush or scheduled service. We think are courier services are a great value, but if you get a better price, call us and we'll try to quote you a lower price than our competitors. All of our services are backed by our On Time or It’s Free Guarantee – if we don’t complete your delivery by the time promised, you don’t pay. Package status can be tracked at ChoiceExpress.com or we can send you an auto email upon completion. ChoiceExpress delivers for a variety of companies in Tampa Bay. As long as you need something taken to one of your customers or vendors, that’s what we do. We can courier anything from an envelope, to a truck full of boxes. Call us for a rate sheet specifically tailored to your industry. If you are working, we are working: Our couriers are available 24 x 7, 365 days a year. ChoiceExpress drivers are available around the clock, all year long. 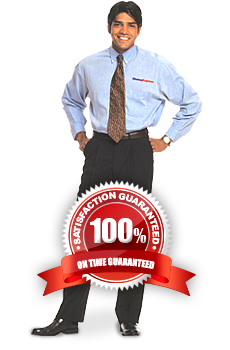 We know your business may require courier services beyond the standard Monday through Friday, 9 to 5 work model. Regardless of the time or day you call, we will schedule to pick-up your package within one hour and make a delivery non-stop, door to door. For your daily needs, we offer very affordable scheduled routes. Call us for a weekly or monthly rate to handle your office needs.